The SS-1e Scud-D was developed by Makeyev OKB as an improved version on the previous generation of Scuds. Unlike the Scud-C, it can carry a nuclear payload as well as a conventional or chemical payload. Its improved guidance system with digital scene matching allowed for it to have a greatly improved Circular Error Probably of 50 meters. The Scud-D is a single stage liquid fueled short-range ballistic missile which can be fired from a Transport-Erector-Launcher giving it great mobility. The Scud-D greatly improved on the poor accuracy of the Scud-C while maintaining much of its other attributes. 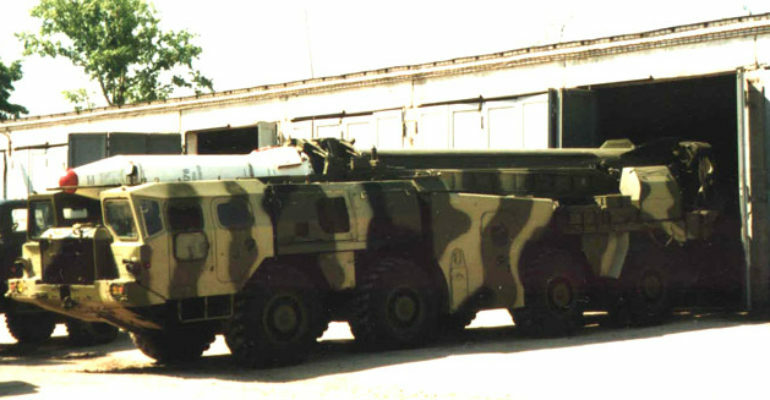 However, by the early 1980’s when the Scud-D was ready to be deployed, the Soviet-made OTR-21 Tochka had been chosen to replace all Soviet Scud missiles. This decision is partially responsible for the Scud-D not proliferating across the world to the same extent as the previous generations; particularly the Scud-B. Despite this, other states such as North Korea and Iran could not overlook adopting their own versions of the Scud-D because of the missile’s improvements over other Scud variants.